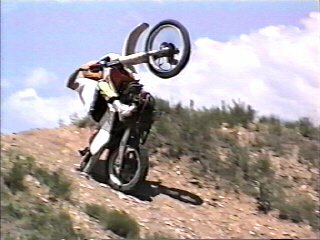 dirtbike video clips, mx movies, offroad bike vids. 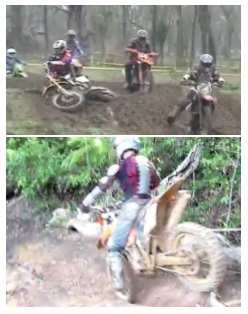 The place for many dirtbike video clips is youtube, well vids for free in any case. There is such a vast array of clips youtube is ideal, and even other subjects related to dirt bikes, as you can import youtube clips easily. You'll find that dirtbike video clips are more than just fun to watch. They can also help you find tips on riding and offer an immense amount of knowledge. These clips often show the crucial moments of races and you can see the race results, not just read about them. 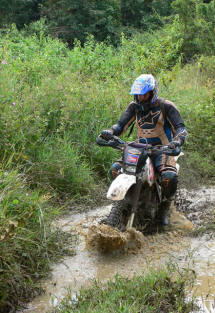 There are many places to find dirtbike video clips, not just Google or YouTube. 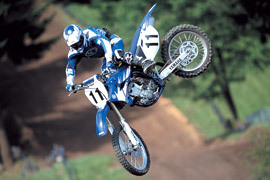 Dirt Rider Magazine has a lot of the best dirtbike video clips available. There are clips that show the rider testing various dirtbikes, ones that offer a bird's eye view of the races and even some taken with a helmet cam so you have the true feel of the exhilaration of the ride. There are 12 pages of unique videos from which to select. If you like to watch shootouts they have a wide selection with commentary that makes the race even more interesting. Another great video site already mentioned in another blog is the MotoVideo Superstore site. Since the site asks users to submit their favorite video, you'll find a wide variety of dirtbike video clips from people all over the nation. It's hard not to find what you're looking for at that site. My last recommendation for a site to find dirtbike video clips is Motocross.com.The link takes you right to the video section but if you lose the link or want to find it later, just go to the home page and click on Photos/Videos underneath the Motocross.com logo. There's a lot of entertainment watching these types of videos but you also can track different racers, keep abreast of the racing world, learn new techniques and assess various tracks. You can watch the racers and see what works and what doesn't to help you win your next dirtbike race. You also can use the videos as inspiration to help you improve your ride, speed and control to make you a better rider. No matter what your reason for watching, the three sites offer a number of different options from which to choose. Getting your VID out there. The youtube site is ideal as users can now easily film not only themselves, but events they have attended such as races and quickly post them on the site. The traffic youtube generates is quite phenomenal and your sure to get your clip seen by thousands in a very short space of time. Why not check out our youtube video page on the top of the navigation bar to start you off. Or look at the 3 cool pitbike movies below. Which is just a motocross free video, of jono ( a youth pitbiker ) on his dirt bike doing some motocross tricks. Or maybe you went over to truveo.com, where you can search anything from motocross racing videos to motocross stunts and even some motocross jumping tips. Featuring the Fiddy Race in Sweden in 2007, but there are so many more videos of motocross on this site. The big daddy for motocross supercross clips and action motocross movies is of course youtube. Unsurprisingly motocross riders love this site as you can play motocross videos and upload your own motocross and supercross films. You may even have some motocross tips to share or require a downloaded free motocross clip, from a specific rider. Your dirt bike stunt might make you famous? Or infamous – if you crash out! 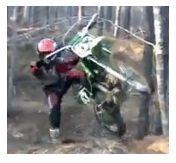 On youtube you can now see a dirt bike crash video quite easily - let’s hope it’s not you. BUT having a "crash" dirt bike incident isn’t pleasant, so do take care and wear all your MX gear when you’re riding on dirt bike trials.